In a time before the credit crunch and long time before the feed-in tariffs made PV solar panels (photovoltaic) on your home a very attractive proposition, I began promoting the benefits of solar for one very simple reason. I believe we should leave our planet in a right, healthy way for the next generation. Our children! And waiting for the politicians to fix this one, well it just isn’t going to happen. Since I was a child, humanity has learned many new things, such as Star Trek communicators are possible; planets exist around other stars. 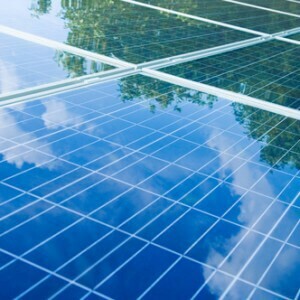 Feed-in tariffs make 2010 the best year for solar technology. Figures from the UK energy regulator Ofgem, show that 42MW of solar electric power was installed last year (2010) a considerable increase in the 4MW levels seen in 2009. PV (photovoltaic) solar panel installations, covering 16,000 properties, has ultimately been driven by feed-in tariffs (Fit scheme) that started on 1st April 2010. An exponential number of homeowners, businesses and schools across the UK have been making the headlines this year because of their efforts to embark on installing solar panels. 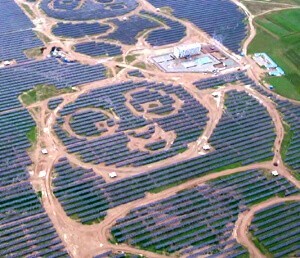 PV solar panels are a proven and widely used technology in Europe, the US and Asia. UK householders still have reservations about the effectiveness of PV solar panels (photovoltaic) in the UK climate. Solar panels effectiveness in the UK. The United Kingdom commonly experiences around 48% overcast days per year. So does this mean solar panels are useless in the winter months? No, says Stuart Lovatt from Heat my Home. A good PV solar system will still contribute on most cloudy days in Britain. This myth is a common misconception, brought about from the clunky early years of solar when technology was young. A lot of people don’t believe it is reasonable to use solar technology in the UK, but that’s not the case. The Chinese are throwing down the solar pioneer gauntlet to the men of Great Britain. Germany is the most significant market with around 40% of the world’s total and the UK has about 60% of the sunlight on average than the equator. The solar market is vast in Germany with the UK market expected to follow over the next few years. 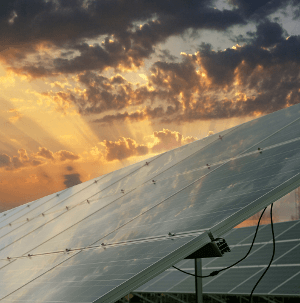 If you are a commercial enterprise or a homeowner with a southerly facing roof space, PV (photovoltaic) solar panels are becoming a new buzz word in the world of investment. Planning permission has been granted to transform a former Wescott airfield into what could be the UK’s first commercial PV solar panel site. I am considering an offer of free PV (photovoltaic) solar panels on my house. The offer seems very generous. There is no charge, a 25-year guarantee and all work involved is done by accredited installers. Is there any drawback to this type of solar panel offers? Power My Home Solar Panels in the UK. Yes, there are several drawbacks. The feed-in tariff (Fit scheme), where homeowners generating their own electricity are paid by energy companies for every unit of power they feed into the national grid. It is the Fit scheme that makes photovoltaic, solar panels worthwhile as an investment because it might earn the average solar owners around £900 a year from a £12,000 to £15,000 (around 7% return as opposed to 3% by leaving it in a bank account). An anonymous caller into to the show admitted that the Ministry of Defence is already planning for future wars over energy which prompts the question, what plans do the new coalition government have to reduce our countries dependence on insecure resources. However, these days the solar panel industry has matured, the technology has evolved to squeeze more energy from the sun. Nowadays, you are more likely to see a solar installation in a retired couple’s home than that of environmentalists. Stuart Lovatt, the founder of Power My Home, which promotes, the use of solar panels says “The demographic of people installing solar panels has changed from the art titled green consumer to anyone, anywhere. “A new world if you can grab it” – Solar Stu. The PV & EV forum. 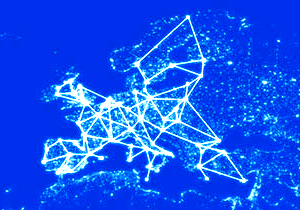 The road towards a PV and EV-powered world.